DCR staking has a lock-down period of 30 days. DCR staking is available every day. Once a Cobo user stakes their DCR, the lock-down period effectively begins 3 days after deposit. This is to facilitate the operations for DCR staking. Essentially, one staking period is 33 days. (30 staking days and 3 buffer days to support operations). After 33 days, Cobo user can either withdraw their initial DCR along with the rewards or enter the next staking period automatically. The more DCR you stake, the higher the rewards. A minimum of 1 DCR is required to participate. Any outbound transfer of DCR will incur a fee of 0.03 DCR (transferring DCR from Rewards Wallet to Cloud Wallet). There will be DCR penalty for DCR withdrawal before the maturation of the staking period. Users will also lose any rewards generated during the days staked. 0.1% of initial capital penalty if withdrawal is made before or on 15 effective staking days. For example, Samantha staked her DCR on Nov 28. 30-days DCR staking begins on Dec 1. If she were to withdraw any time before and on Dec 15, she will be liable to pay the 0.1% initial capital penalty. However, if she were to withdraw on Dec 16 but before the expiration of DCR staking period, she will not have to pay penalty. In both situations, Samantha will lose any staking rewards earned during the period. How do stake my DCR? Store your DCR into Cobo Cloud Wallet (if you have not). Tap on Finance tab and choose the amount of DCR you want to stake. That’s it! Note that there is a lock-down period of 30 days. What is the DCR payout? Why is there a difference in the rewards earned with respect to the DCR staked? As previously mentioned, voting tickets have to be bought using DCR in order to participate in PoS. At the time of writing, the ticket price is about 103 DCR. As such, Cobo must leverage on its own DCR capital to match the ticket price. Therefore, more rewards are given to users who stake more DCR. Cobo takes a small management fee from staking your DCR. 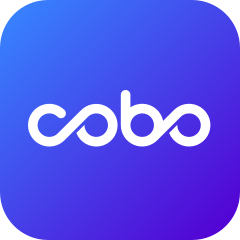 Holding your assets in Cobo Wallet will always be free. Is there any other charges that I am not aware of? No other charges. No voting fees. No inbound fee (DCR transfer from Cloud Wallet to Reward Wallet). Only 0.03 DCR fee for outbound transfer. (DCR transfer from Reward Wallet to Cloud Wallet). Also, in order to maintain stability in Cobo voting system with DCR, there will be early DCR withdrawal penalty under the circumstances mentioned above.